When Can You Eat Pie for Breakfast? 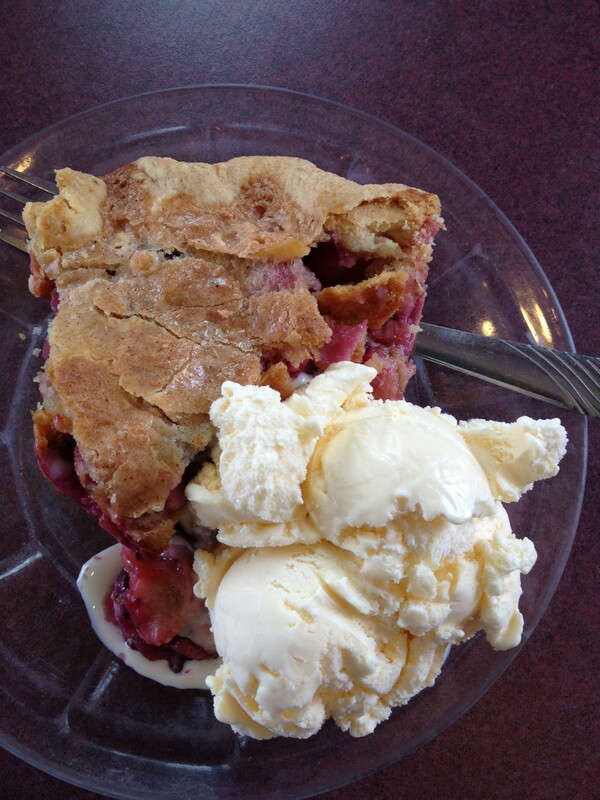 Finding the Purple Pie Place in downtown Custer was easy. We just looked for the only bright purple building on the main street. 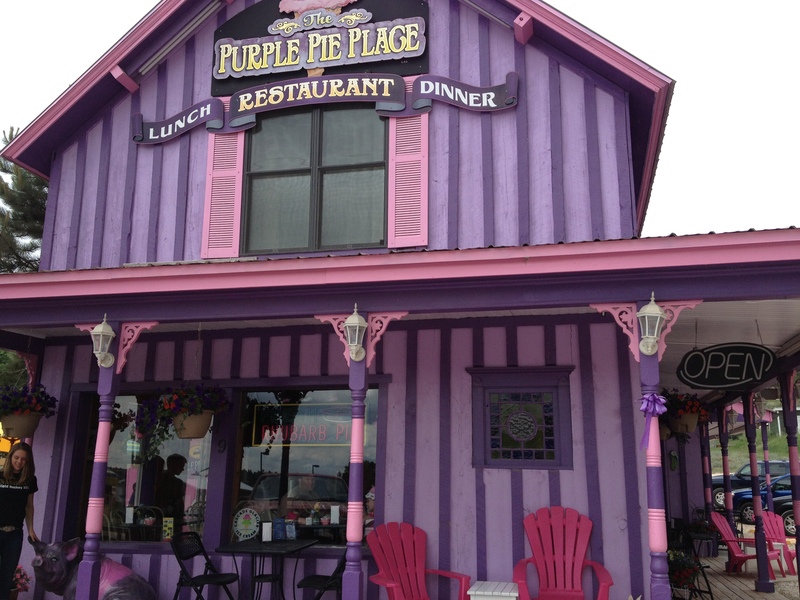 The Purple Pie Place is locally famous for its bumbleberry pie; a blend of berries, such as: blueberry, raspberry, strawberry, plus apples and rhubarb. But they offer other pies as well: apple, peach, cherry, rhubarb, strawberry rhubarb, blackberry, blueberry, peanut butter, raspberry rhubarb jalapeño and a cream pie of the day. While the pie selection does not include any of the gluten-free variety, there is an ice cream bar for the gluten-free intolerant. We ate our bumbleberry pie a la mode. The crust was flaky, the filling bursting with the flavors of different fruits all bumbled together. The pie was so good that we ate it for dessert one night, for dinner another night and another time for breakfast before we left the Black Hills. If you’re interested in going, the Purple Pie Place is located at 19 Mount Rushmore Road in Custer, South Dakota, just 13 miles from Jewel Cave National Monument (see related blog post). If you won’t be visiting South Dakota in the near future, try making your own. In a large bowl, combine apples, rhubarb, strawberries, blueberries, raspberries, and lemon jiuice. Mix together sugar, flour, and tapioca. Gently toss with fruit mixture. Spoon into your favorite home made or store bought pie crust. Cover with top crust. Brush tops with egg wash (1 egg yolk beaten with 2 tablespoons water). Cut a few slits in the top to allow steam to vent. Bake in preheated oven for 50 to 60 minutes or until filling is bubbly in center and top is golden brown. Trip taken July 2013. Food, Recipes, South Dakota, U.S.
We lived down the street from there in the old brick “1882” house! Did you get a chance to eat at the Sage Creek Grille? Unfortunately, no! It looks good, too. We’ll have to go next time. But we did enjoy our breakfast at Baker’s Bakery & Cafe! Awesome! Try the smothered breakfast burrito at Bakers!